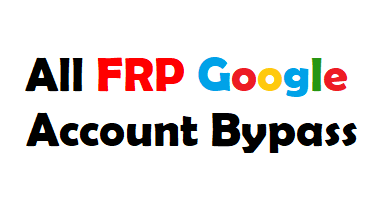 Frp Tools Download For All Model Google Account ByPass How to By Pass Google Account Any Mobile. Hello Friends Es Post Me ham Janege Kisi bhi mobile FRP Unlock App ke Bare Me . Alongside the Android Lollipop 5.1 refresh, Google has presented another security include intended to render the telephone inaccessible for utilization in the tragic occasion when it may get stolen or lost, subsequently ensuring all the critical information on it. Notwithstanding, this component, in spite of being extremely valuable, can cause some difficult issues and place individuals in a circumstance in which they have to sidestep Google account check, so they can utilize the telephone.